The human body is not prepared to sit for several hours in a bicycle seat or run with inadequate footwear. Fortunately, the technology is on our side to let us adjust our body, our bicycle and our footwear to obtain the maximum performance. Our team of physiotherapists and osteopaths, including Javier Sánchez, is specialized in Sport Biomechanics. They will work on your single case with a real guaranteed success. Feet and knee burning heat, back and neck pain, etc., are very common when practicing sports. Those are the warnings that human body provides us to take measures and avoid injuring ourselves in the future. In iHumanity we make comprehensive body analysis first. 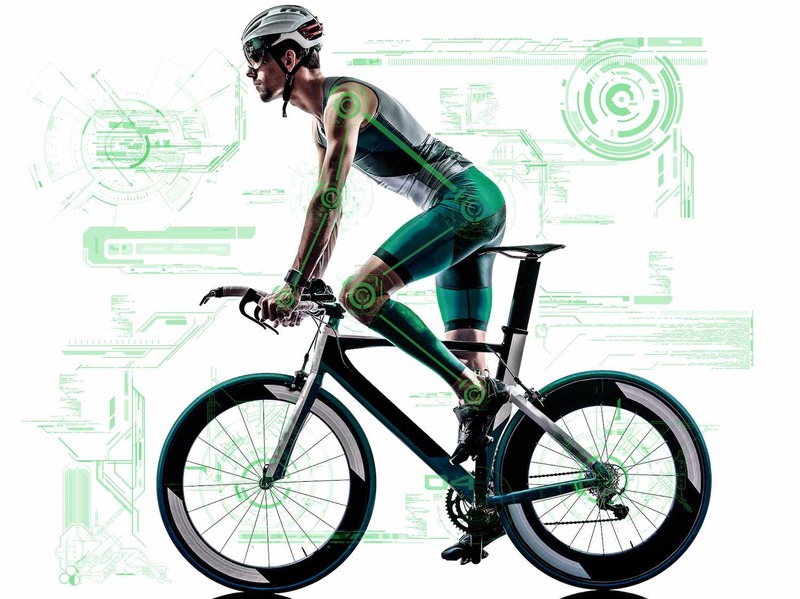 Then we carry out a complete Biomechanics study, whether cycling or walking, to get a perfect diagnosis. In this way we can clearly discern if we need to make a correction through plantar orthoses or readjust certain key points of our bicycle, in addition to our position on our two wheels vehicle. Our state of the art technology is to be used by both the amateur runner and the elite athlete. We have a 3D scanner that allows us to take exhaustive measurements of the foot, which allows us an exceptional analysis and design. We complement this study with the use of a platform of maximum precision pressures, which measures the tread, both static and running. Finally, we use a treadmill (for walking) or an electronic roller (in the case of cycling) to make a sustained race test (dynamic study). During this test, images are obtained through three videocameras. Once processed in a vectorial way, these images allow us to analyze stride and pedaling to correct possible irregularities when practicing your favourite sport. After this study, and if it is appropriate to place a sole orthosis, we will move on to the design process. Our custom insoles are computer designed, allowing us to make them with very high precision. Our designs are sent to our laboratory where, with state-of-the-art machinery, we start to manufacture them. The material used in these insoles is carbon fiber. Their design and processing flow allow them to never lose their properties, besides being unique for your own feet. With this very high level way to work, we seek to specifically help athletes to improve their performance in a substantial way and, above all, to avoid injuries caused by incorrect support of their lower extremities.